Veganism is a growing phenomenon on the culinary scene. 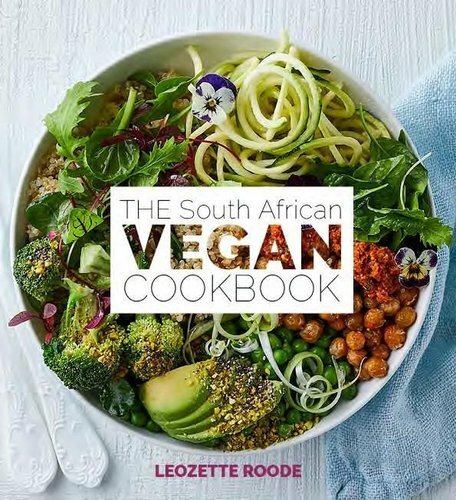 The South African Vegan Cookbook is the first of its kind locally. In it you will find everything you need for a vegan lifestyle: from basic information such as the definition of veganism, why it’s good for you, answers to common questions, the essential equipment, vegan alternatives for everyday products, the pantry essentials and resources to learn more. The family-friendly recipes are easy to make and are made from locally-sourced products. This cookbook includes recipes for breakfast, snacks, lunch, tea time, the braai, entertaining and late-nights feasts. Think decadent chocolate granola and overnight oats, kale chips and cauliflower bites, easy-to-make couscous salad, lasagne and stir-fry as well as South African favourites like milk tart, banana loaf, macaroni-and-cheese and chicken burgers. And to top it all: chocolate mousse, date balls and truffles. Vegan 101 – good for your health and the planet.